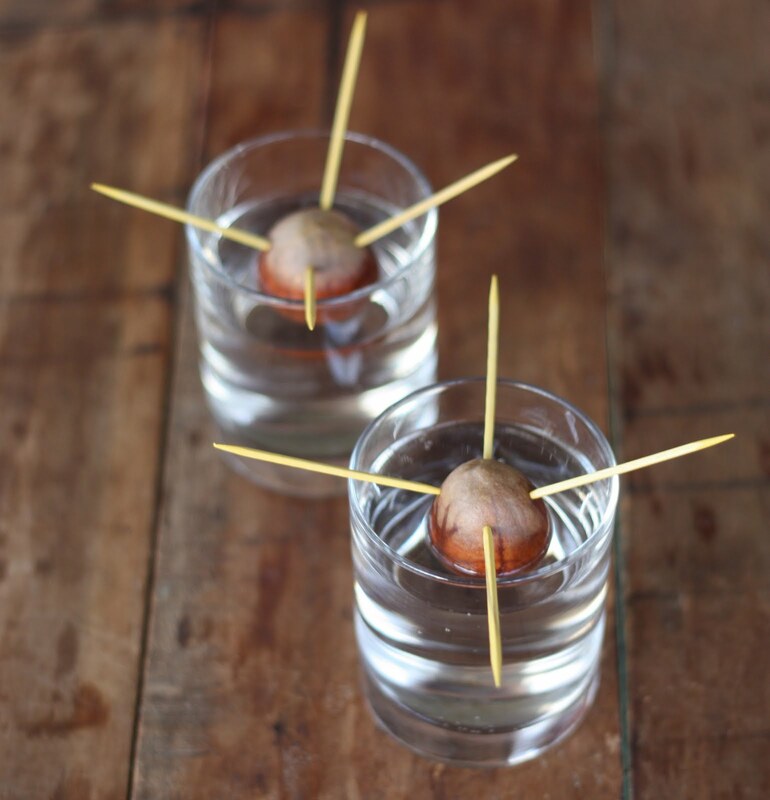 On a whim after incorporating avocado slices into some of the most amazing turkey sandwiches I've ever had (Tim sure knows how to transform Thanksgiving leftovers), we decided to take on a new "just for fun" project — trying to sprout roots and stems from avocado pits. 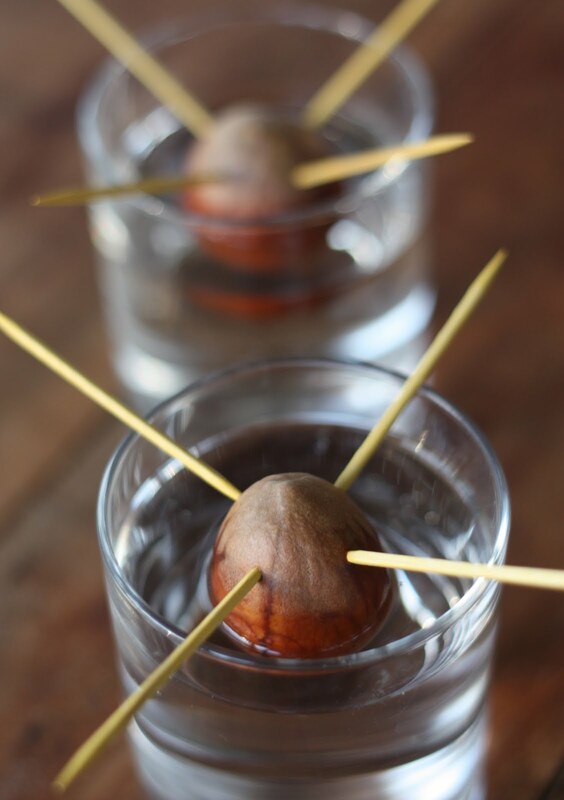 In hopes of sprouting the pit, we carefully opened the avocado, removed, rinsed and wiped the pit, then secured 4 toothpicks round the top (pointed side faces up) in a way that they would rest nicely on the rim of a glass. I was surprised at how easy it was to simply push the toothpicks into the pit with little pressure. After successfully resting both pits atop their glasses and placing in a sunny windowsill, we carefully poured in water to cover about 2/3rds of the pit — not enough to touch the toothpicks, but enough to leave the bottom of the pit submerged. From here on out it's simply a waiting, watering, and watching game. We'll continue to add water to the glasses as needed and if all goes according to plan, we just might see some root/stem action in about 3 weeks! 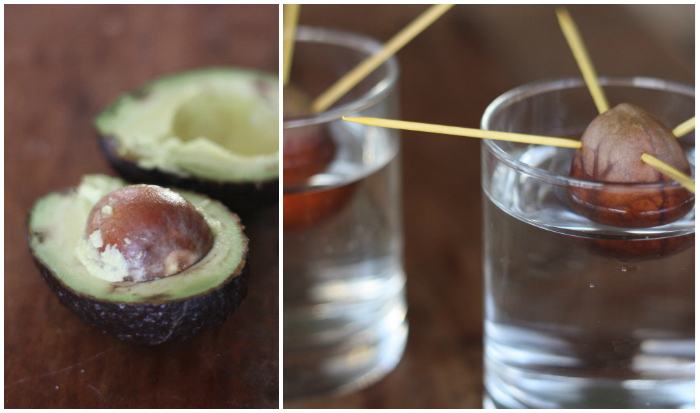 Did you try sprouting avocado pits as a child? If so — was it ever successful? We hear so many tales of failure that we're not expecting much, but who knows — we just might be able to make guacamole in 2-3 years time! Wish us luck — we'll be sure to keep you posted. I tried this a few months ago and totally failed. It didn't help that there was a freeze one day and I had my window cracked so the water the pit was in turned into a giant ice cube. Unfortunately I didn't even get it to root. I may try again... I do have an avocado sitting on my counter right now! Hope yours turns out better! I did this successfully as a kid! It does work! I can't remember if I ever planted it in dirt, but it did sprout! Some folks put the wrong end in water...like I have done when planting bulbs outside, but your is set to jet! btw...every made a cream cheese and avacado sandwich? The best! Jenn - we have heard many stories like this! That is so funny about the water freezing. We're not banking on roots here but definitely hoping, ha! Lisa - You must have the magic touch, we keep hearing over and over how difficult it can be to sprout these pits. We shall see! Good luck! I'll be interested to see if it works. Jessica, we'll keep you all posted nothing yet but a few cracks in the tops of the pits. Not sure if this is cracking from the toothpicks or preliminary cracking for the stem. We're hoping the latter! did it ever work out for you? I did it successfully! Mine grew probably 6-8 inches tall and had quite a few leaves. I then transfered it to a pot, and it died. : ( I am going to have to give it another shot. I must not have watered it enough..? Good question Dream State — we are new to this too. We've left them in the water for now but are seriously considering transferring to soil. It seems like it's so chancy! I'm voting on the side of the yeah's. Mine is going on six years now and about 6' tall even though it is a lesson in patience and persistence. Good luck. 6' Wow! We hope we are as lucky! I had success! I now have a 4 foot tree that has been alive for about 2 years. I haven't seen any fruit and don't expect to but it's a cute lil guy :) also, if you do get it sprouted, it seems to prefer partial shade instead of full sun. I am in portland, oregon, I put it outside during late spring and summer and bring it in once it starts to get cold, if that helps anyone. using the toothpick method is much slower,youre more likely to succeed if you place the pit inside a zip lock baggie with sphagnum moss and seal it,then stick it in a dark place,make sure the moss is moist and check on it every day. When we lived in Florida, I grew one and it made a very nice little tree. 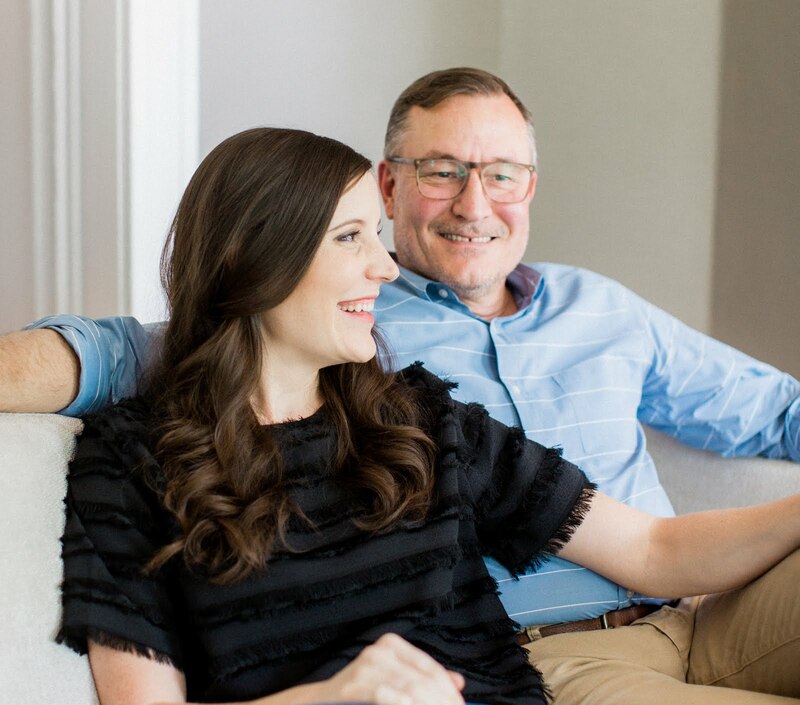 But, we had to move to Colorado and since it was in a pot, I gave it to my daughter that put it in the soil at their home. It grew very fast after that and the last time I saw it, it was about 4 feet tall. Don't know how it is now. Has been over 25 years, but the tree was a little beauty. Am going to try again. No it just rotted. I tried this all winter and nothing. 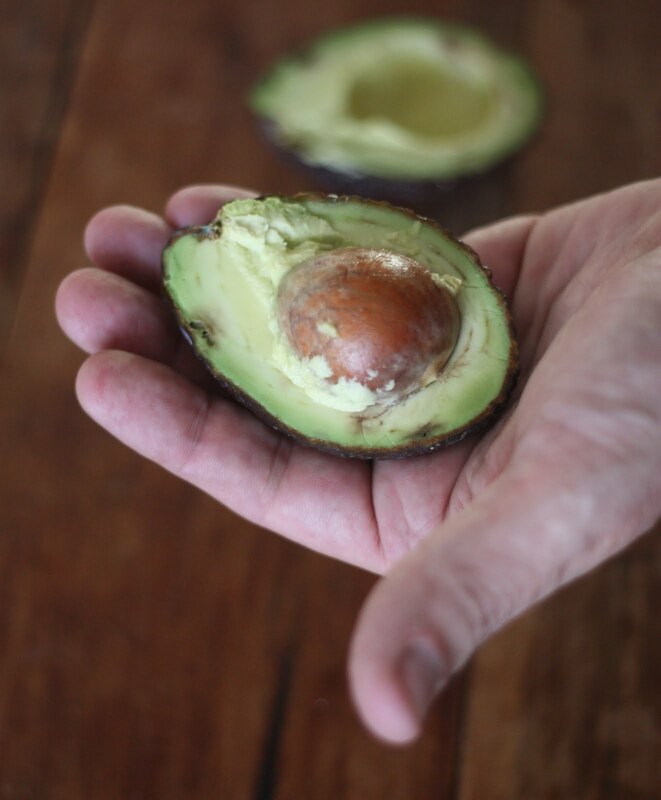 When I saw your blog I tried to make a avocado, for few months nothing, but finally I had my avocado, 3 avocados!!! How is your plant? My plant is about 2' ft. tall in a pot in my south-facing kitchen window. It doesn't keep any of its leaves. About 3-4 will emerge simultaneously and within a couple of weeks dry out and wither. Then the stem loses its green and becomes a wooden stick. A few months later another stem emerges and the same thing happens. Its been like this for two years. Any insight into why I can't keep leaves? Both of ours are doing really well. They are both about 2' tall and have about 6-8 leaves on them. One of the plants did have the leaves start to dry and turn brown. We did have it placed next to a cooler window so we have moved it to see if that helps. If you have it to close to a window it will act as a magnifying glass and burn the leaves and trunk. You may want to move it further away from the window. Try organic as others may be treated to preserve and prevent stuff. I did this many years ago in Denham Springs LA. Folks said it would not grow. Then they said it would not live. It did grow and it did live. (with winter protection of course). Last time I saw it, it was over 5 feet tall.